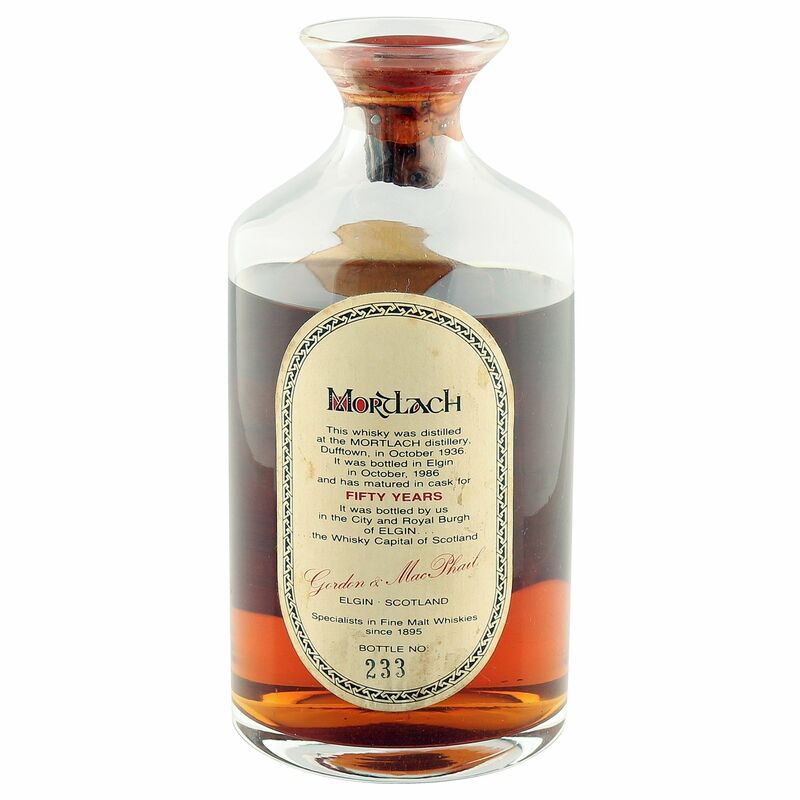 This pre-second world war beauty was distilled at the Mortlach distillery on the 17th October 1936 and bottled exactly 50 years later, on the 17th October 1986, by Gordon & MacPhail. 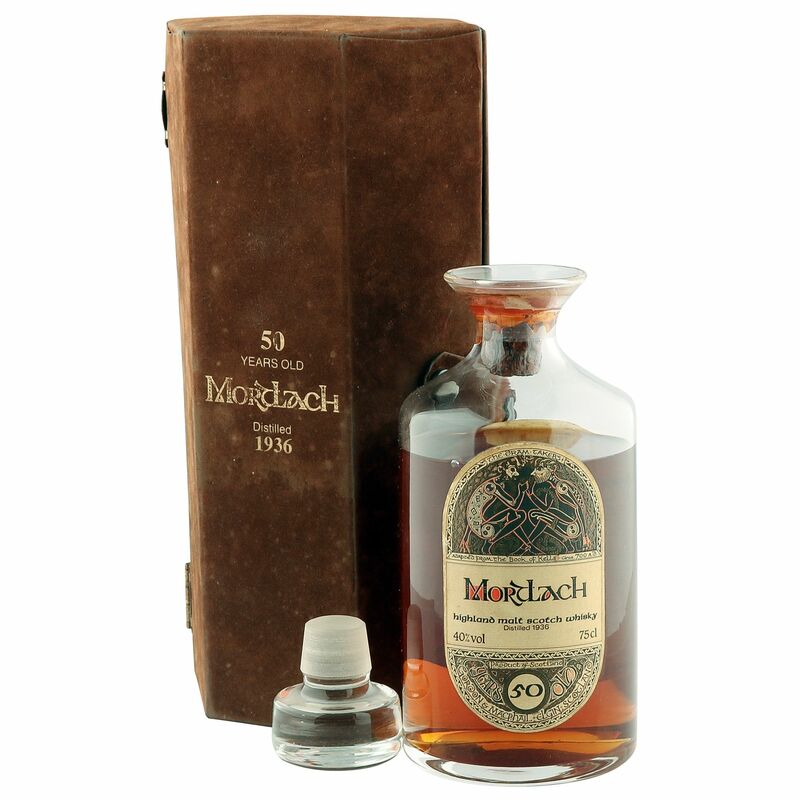 Complete with original presentation case, glass stopper and COA, this extremely well sought after Sherry matured expression is bottle number 233 featuring the Book of Kells label. 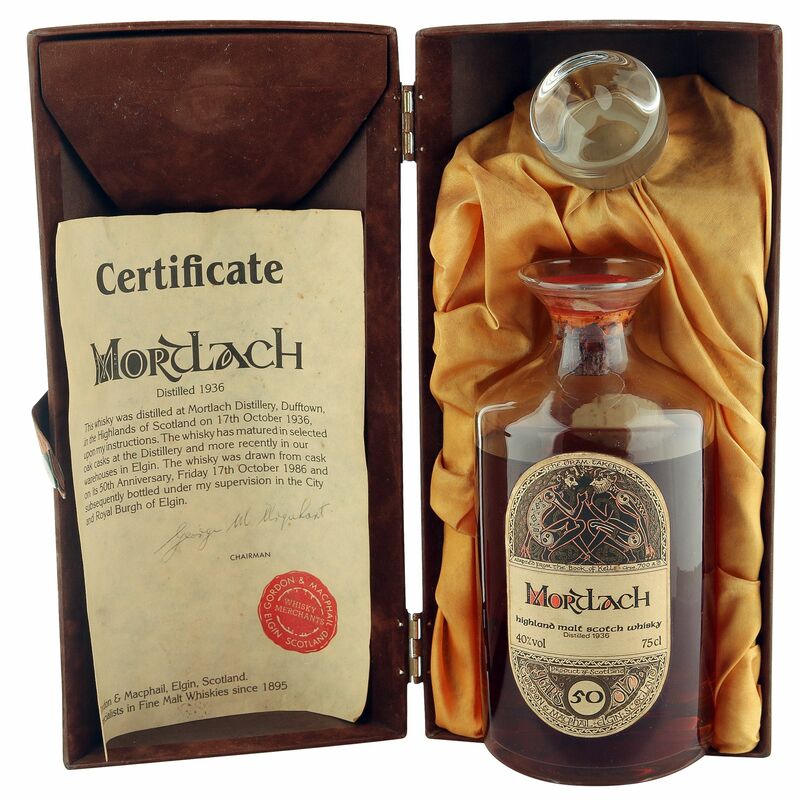 Please note, there is some foxing and discolouration to the presentation case, labels and COA - see the images inset for finer detail.